After successful pilot year, Futureworks Shops will expand in 2019! A little over a year ago, New York City’s prototyping hubs and hardware spaces were completely disconnected. 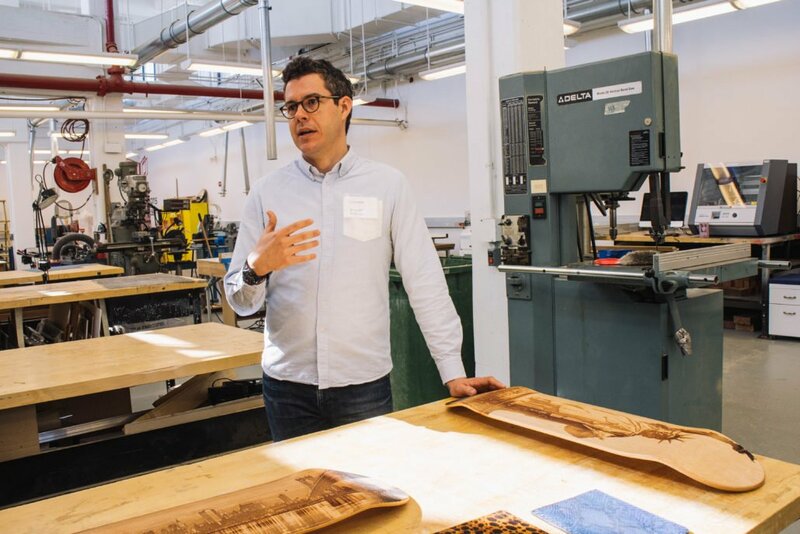 As NYC’s hardware and advanced manufacturing economy continued to grow, NYCEDC felt it was necessary to create a much more cohesive prototyping ecosystem. The Economic Development Corporation tapped innovation agency SecondMuse (who is also behind Futureworks Incubator) to design and manage the Futureworks Shops program. Open up hardware and workshop spaces to new audiences. Create programming to educate and inform startups, entrepreneurs, students and explorers about advanced manufacturing, hardware and essential business practices. Subsidize prototyping, production, incubation or workspace for entrepreneurs and startups. Over ten months, Futureworks Shops created tremendous awareness and attention through educational workshops, competitive pitch nights and collaborative hackathons. The nine hubs hosted 28 events for 1029 New Yorkers across four boroughs, and almost 80% of attendees surveyed were visiting a Shop for the first time. BF+DA’s all-day TEK-TILES workshop, for example, gave startups hands-on experience with conductive yarns, thermoreactive threads, color-changing filaments and optic fibers. 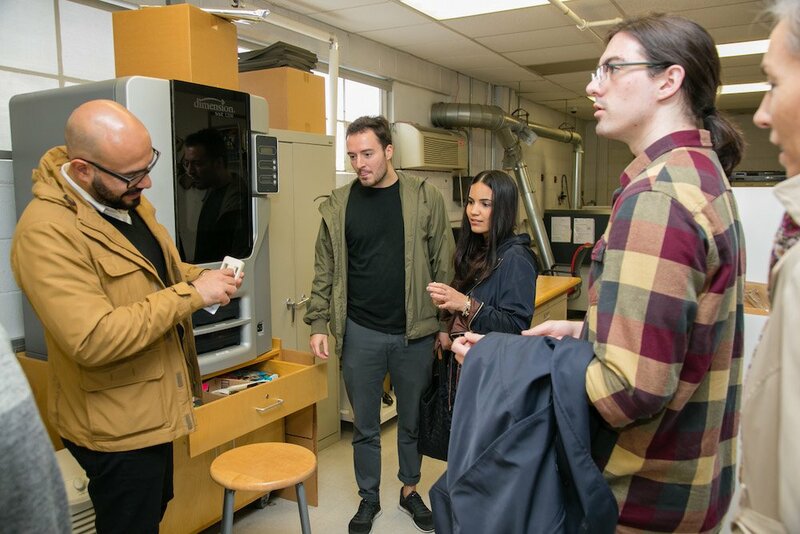 A/D/O and NEW INC teamed up to produce the weekend-long MAKE/MODEL hackathon where entrepreneurs and students went through the prototyping and manufacturing process while thinking through the future of urban living. The program subsidized 23 entrepreneurs and startups, provided lifelines for founders passing through the valley of death and offering growth-stage startups a home and local production resource. Texas-based Nohmad and Michigan-based Secco both relocated to NYC because of the program’s resources. Nohmad used funds earned through a Futureworks Shops-sponsored Zahn x Silicon Harlem pitch competition to put towards his first prototype. Secco shacked up at NYDesigns for four months as they spent early mornings and late nights prototyping. Mesa Light’s Ravi Varma was able to operationalize his Kickstarter-backed company at A/D/O while the Wearable Media team discovered their true product market fit once part of the NEW INC cohort. After a successful first year, Futureworks Shops will expand its coalition during winter 2018 and into 2019. Look out for more news about the program and all the opportunities you’ll have to engage!